Leaders at all levels impact their organizations by making things happen. Yet, due to the increasing complexity, change and diversity in today’s world, leading is more difficult than ever. Effective leaders must learn to maximize their strengths and overcome their blind spots. Application of concepts learned in the classroom do not always fit real life situations. Often decisions must be made so rapidly that they do not have time to reflect and learn from those mistakes. Leaders are taught to identify their natural strengths and areas to watch out for, using tested models of successful leadership. Then, the consultant and leader work together to develop and implement a plan to utilize their strengths and attenuate their development needs. Individual and group sessions tailored to the organization’s particular culture and strategic direction may be scheduled. 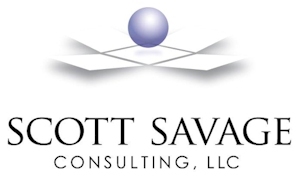 How can Scott Savage Coaching & Development help you? View my video.